"We thought hip hop was a genre they would find relevant, and the success of the contest proved us right. I've been really impressed with the results, and have to say that I can’t get this year’s winning song out of my head!" The contest was designed to tap the talent and creativity of teens across the U.S. to raise awareness of the importance of being smart about money, and to spread the word about the financial education program Money Matters: Make It CountSM available through the 2,900 Boys & Girls Clubs across the country that serve teens. In the call for entries, BGCA teens, ages 13-18, were invited to submit song lyrics that would reflect themes from the Money Matters curriculum and deliver a strong, positive message about financial fitness. 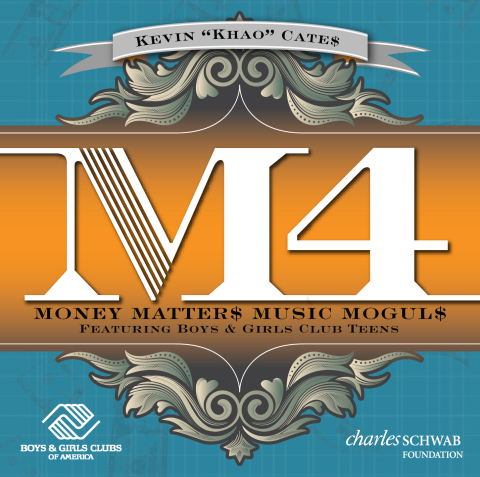 The songs were performed using one of several background beats provided by Grammy Award-Nominated music producer and founder of the Bridge DA Gap Movement Kevin “KHAO” Cates. 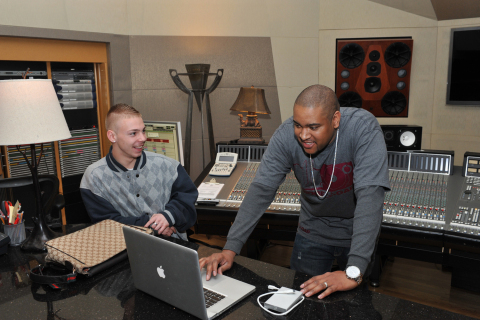 For his winning song, McGuire received a once-in-a-lifetime opportunity to travel to Atlanta to professionally record his song with KHAO and create a music video with other Boys & Girls Club teens. He will also receive a $1,000 scholarship and a matching grant for his Club from Charles Schwab Foundation, and the other top four finalists will each receive a $500 scholarship. A hip hop album featuring both last year’s and this year’s winning songs as well as several other M4 finalists’ songs from teens around the country has also been produced by KHAO. The album, called “M4: Money Matters Music Mogul$,” is available for digital download at www.bgca.org/m4. All sales proceeds will benefit the Boys & Girls Club teens featured on the album, going to a special college scholarship fund. A limited number of CDs are also available. For his part, KHAO is committed to encouraging teens and developing their talent. He says he’s continually impressed by their ability to deliver fresh, compelling messages about gaining knowledge and coming up in the world. The contest’s call for entries was made on November 8, 2012, and the submission period concluded on December 28, 2012. Fifty-four teens submitted songs, and more than 186,000 votes were cast on myclubmylife.com to choose a “fan favorite” from among the top ten finalists. The final choice among the top five finalists was made by KHAO, and it coincided with the fan favorite selected by BGCA teens. Additional details about the contest, including photos, are available here: www.bgca.org/media/Pages/default.aspx. Funded and co-created by Charles Schwab Foundation, Boys & Girls Clubs of America’s Money Matters program is designed to promote money management skills among teens, ages 13-18. The program consists of fun, interactive activities and exercises on topics such as using a checking account, managing debt, saving for college and learning the basics of investing. The program is targeted primarily at teens from underserved communities. Some 500,000 youth in over 1,700 teen Boys & Girls Clubs across the U.S. have participated in Money Matters since it launched in mid-2004. In addition, Charles Schwab Foundation has presented a cumulative total of $460,000 in scholarships to 222 Club teens who completed Money Matters and demonstrated exceptional financial skills from their newly acquired knowledge of personal finance. For more than 100 years, Boys & Girls Clubs of America (GreatFutures.org) has enabled young people most in need to achieve great futures as productive, caring, responsible citizens. Today, more than 4,000 Clubs serve some 4 million young people annually through Club membership and community outreach. Clubs are located in cities, towns, public housing and on Native American lands throughout the country, and serve military families in BGCA-affiliated Youth Centers on U.S. military installations worldwide. They provide a safe place, caring adult mentors, fun, friendship, and high-impact youth development programs on a daily basis during critical non-school hours. Priority programs emphasize academic success, good character and citizenship, and healthy lifestyles. In a Harris Survey of alumni, 57 percent said the Club saved their lives. National headquarters are located in Atlanta. Learn more at www.bgca.org/facebook and bgca.org/twitter. Bridge DA Gap, founded by multi-platinum music producer Kevin “KHAO” Cates, is an educational initiative that uses music to communicate with youth in a language they understand. Its components include a textbook, an accompanying musical CD, video and a curriculum designed to help youth navigate through many of today’s problems and challenges in order to build foundations, advance dreams and transform their lives through character-building principles. More information is available at www.bridgedagap.com.